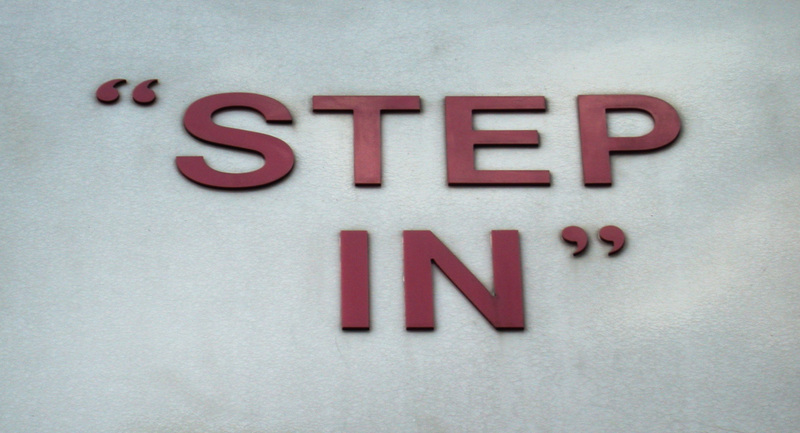 “Step In” Restaurant, 457a New Cross Road, Borough of Lewisham, London SE8, 2002 • Another winning example of very basic signage typography. By 2012 it had become Geology, a natural stone specialist (whatever that is), with the signpost still there, painted out. And by 2017 it was just an apartment frontage, with a strange rubbly courtyard. I used to live near there and I never ever noticed it or the lamppost! There are lots of shops like this in New Cross. There is one on Lewisham Way at the top of Loampit Vale that has the old Colonial Stores back painted glass sign showing which is lovely. I shall have to go and check it out! Check out West Norwood too. Sorrento, The Electric Cafe, There are loads. 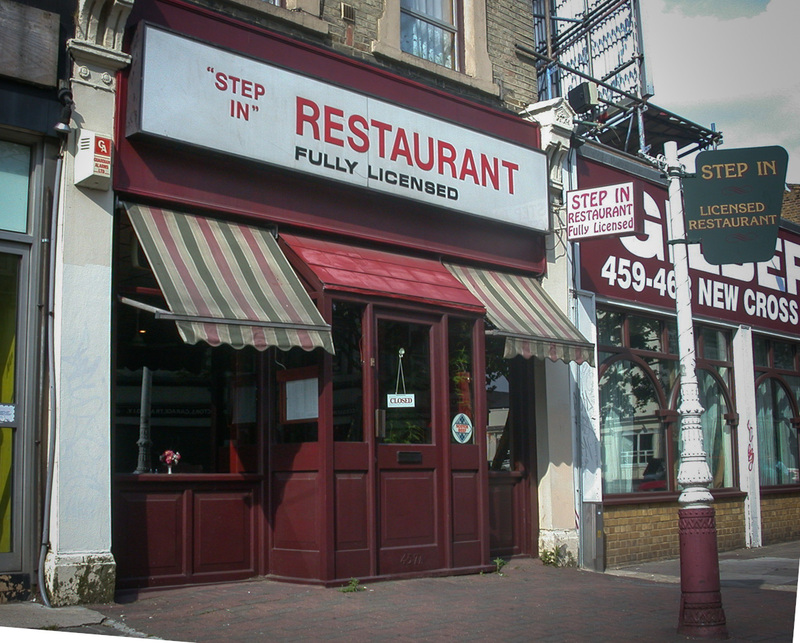 Lower Sydenham has an old butchers that is now shut opposite Home Park. Forest Hill has some old gems too. 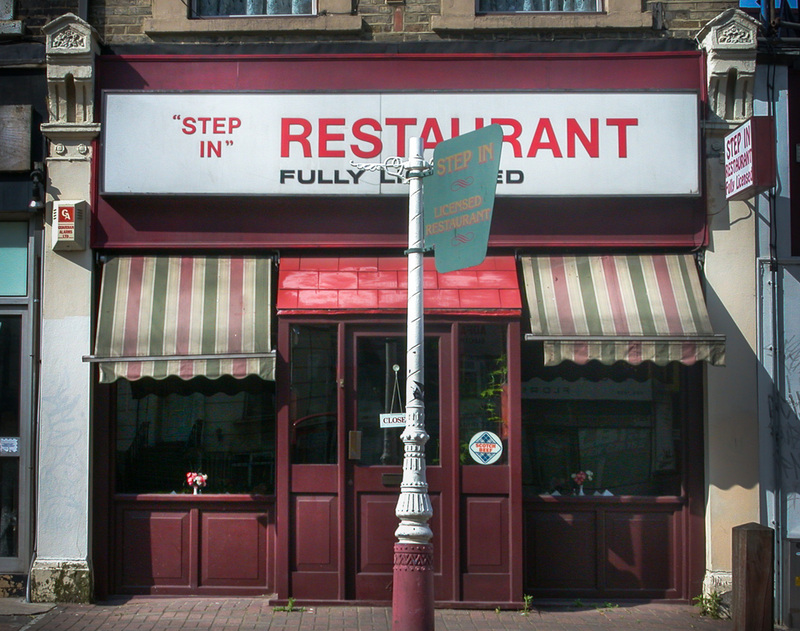 I actually photographed all the shops in New Cross 13 years ago but lost them on an old hard drive. What a pity to lose your old photos! I only took a few round there in the early noughties, on a pilgrimage to photograph all the Kennedys butchers, if you remember those.